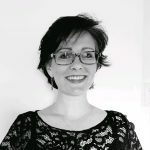 Kathrin is known for her innovation and resilience in developing solutions and maturity uplifts for Waterfall, Iterative, and Lean Agile methodologies across a large breadth of sectors. Reporting is an important and staple responsibility in every organisation. The team at 460degrees has years of experience in this at executive level, so we know that the process can be more complicated than it looks. Fortunately, our senior expert Kathrin Allen has developed some simple tips to assist your organisation to get the most out of its reporting structure. Rule number one, the most important; No surprises! No one likes surprises, executives least of all. If something has gone wrong, someone along the line must have known it was a potential or developing issue. A common bad practice in reporting is not wanting to be “the bearer of bad news.” This can lead to all sorts of chaos further down the track, putting work and dependencies at risk. The longer it takes to communicate possible issues, the worse the potential outcomes become. When writing you should always use simple, easy to understand language and avoid jargon wherever you can. George Orwell, author of the “1984” and “The Animal Farm”, suggested that in any sort of writing you should “never use a long word where a short one will do” – a rule that is just as important for creating a report as when writing fiction. Whatever it is you’re writing, always make sure that the type of language you’re using is not just appropriate for your audience, but for anyone they need to report back to as well. Reports should always be short and to the point. It’s job is to convey as much information as quickly as possible. Another piece of advice from Orwell is “if it is possible to cut a word out, always cut it out“. Following these words will ensure that your reports are as valuable as possible. A great way of cutting out words and breaking up blocks of text is to use appropriate visuals as much as possible. The human brain is much better at processing visual information than it is at reading long sentences and paragraphs. Simple graphs, symbols and representations can cut down on the time it takes for your report to be understood. The sooner your is report ready and waiting to be opened, the sooner it can be digested and acted upon. Furthermore, the more valuable this information is the better the outcomes that can be achieved. This tip is a simple one, however it has quick and noticeable impact. A report should have capacity to be updated on a moments notice – whether it be as soon as new information becomes available, or at a last minute request. Similarly, avoid surprises down the track by updating records as data and facts develop to maintain accuracy. Change happens! Being ready to adapt to that change is how to stay on track. Automation may seem intimidating or a waste of time to set up, but it is worth the effort. Not only does it save the time it would take to go through each process manually, but it saves the mental energy those processes take. This in turn allows you to spend that energy more efficiently and helps you reduce your coffee intake! To find out how our experts can help your organisation, contact us here.